The city is a vast and incredibly complex metabolism in which the human species is the tiniest of fractions; tiny and yet intrinsically linked into an organic embroidery beyond our understanding. It is within this complex fabric that (future) biotechnologies will end up. 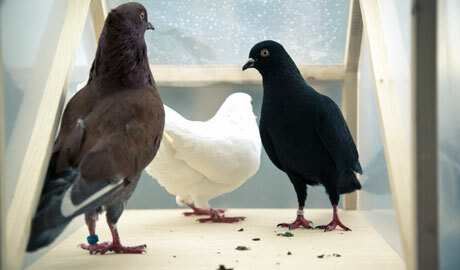 Pigeon d'Or proposes the use of feral pigeons as a platform and interface for synthetic biology in an urban environment by attempting to make a pigeon defecate soap. By modifying the metabolism of pigeons, synthetic biology allows us to add new functionality to what are commonly seen as “flying rats.” A special bacteria has been designed and created that, when fed to pigeons, turns feces into detergent and is as harmless to pigeons as yoghurt is to humans. 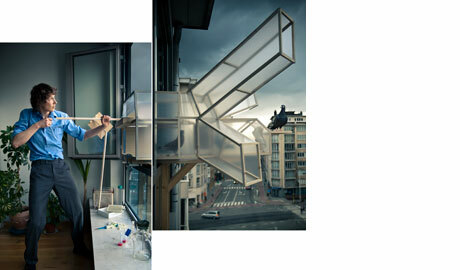 Through the pursuit of manipulating pigeon excrement and designing appropriate architectural interfaces, the project explores the ethical, political, practical and aesthetic consequences of designing biology. 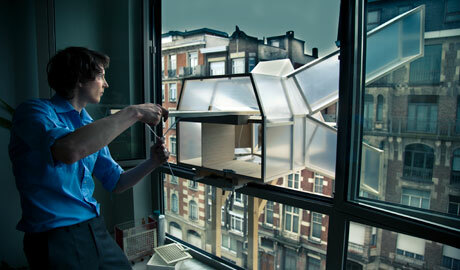 Pigeons and feral pigeons present themselves as the ideal platform and interface for urban biotechnologies. While seen by many as pests, one could argue that they’re actually a product of biotechnology, as their ancestors were designed to look pretty, deliver post, spy, tumble or race. 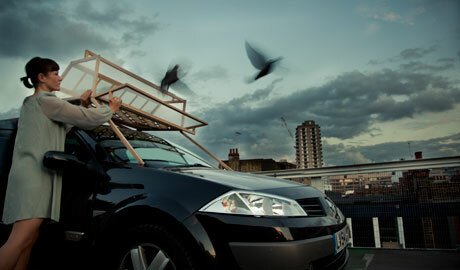 The project draws on the rich culture of pigeon sport.